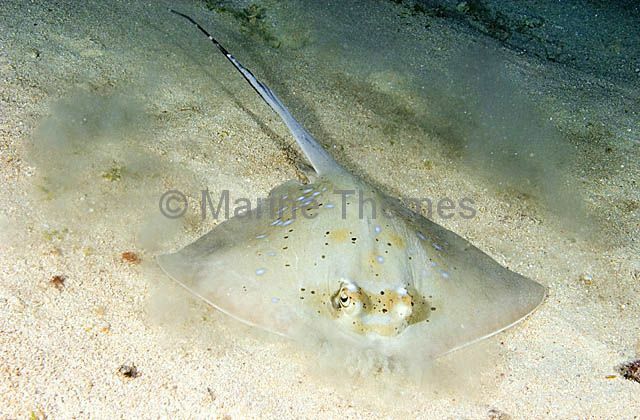 Blue-spotted Maskray (Neotrygon kuhlii) swimming down deep reef slope. 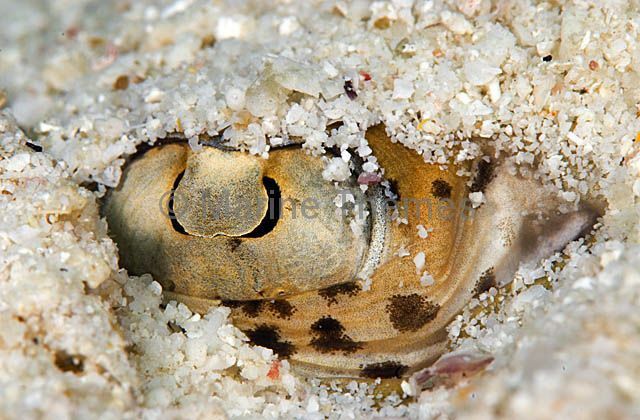 Blue-spotted Maskray (Neotrygon kuhlii) Eye detail of adult buried under sand. 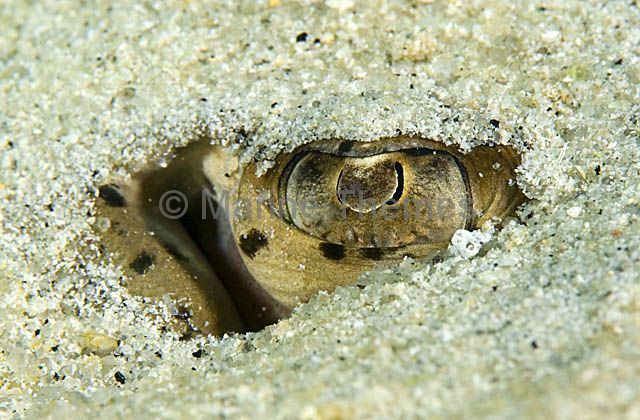 Blue-spotted Maskray (Neotrygon kuhlii) Eye and spiracle detail of adult resting under the sand during the day. 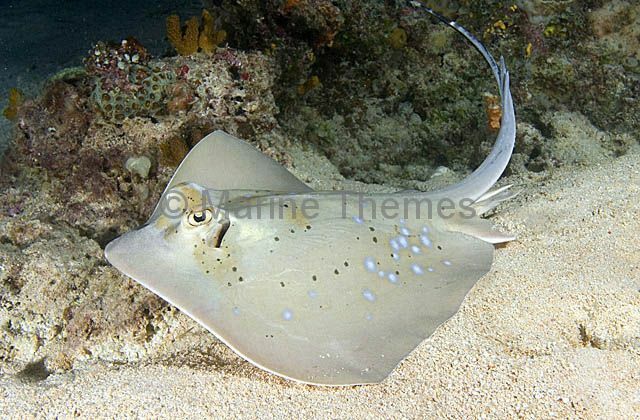 Blue-spotted Maskray (Neotrygon kuhlii) swimming along the sandy base of coral reef wall. 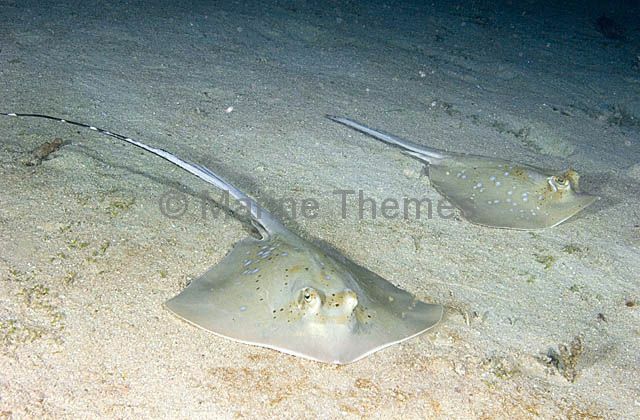 Blue-spotted Maskrays (Neotrygon kuhlii) resting on sloping reef slope. 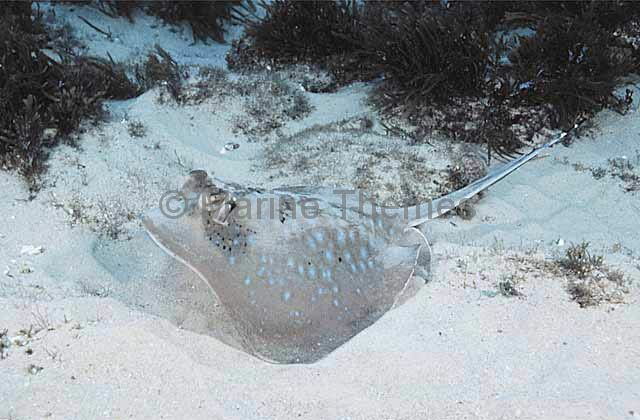 Blue-spotted Maskray (Neotrygon kuhlii) resting on sloping reef slope. 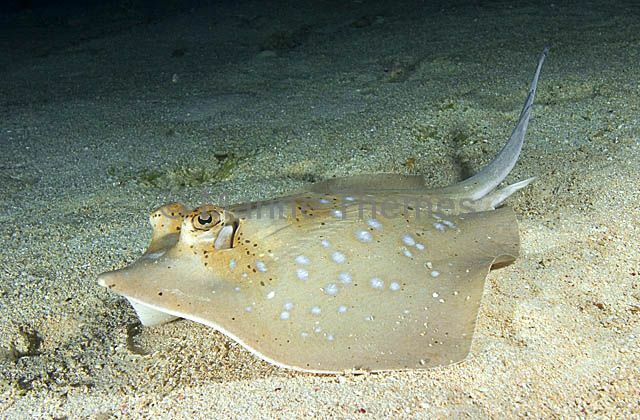 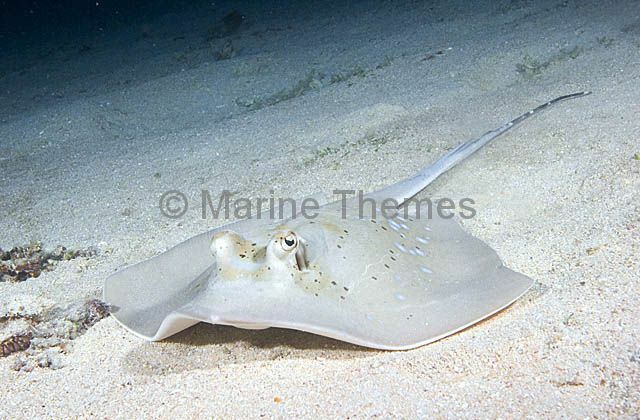 Blue-spotted Maskray (Neotrygon kuhlii) foraging for small crabs and shells in the sand. 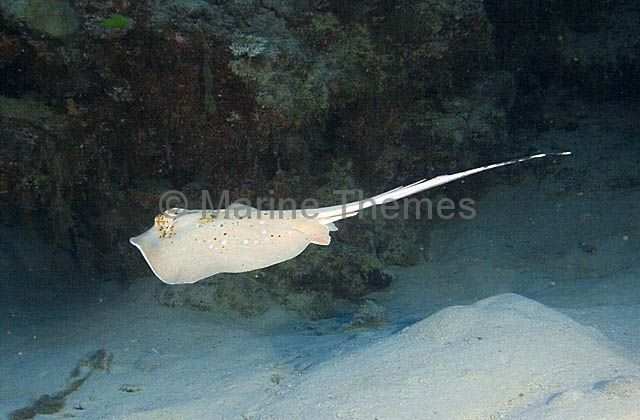 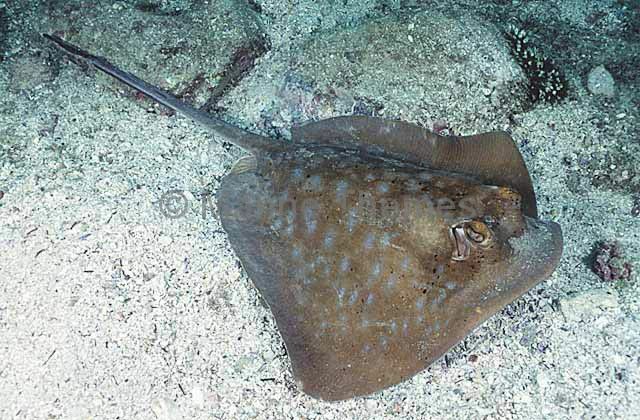 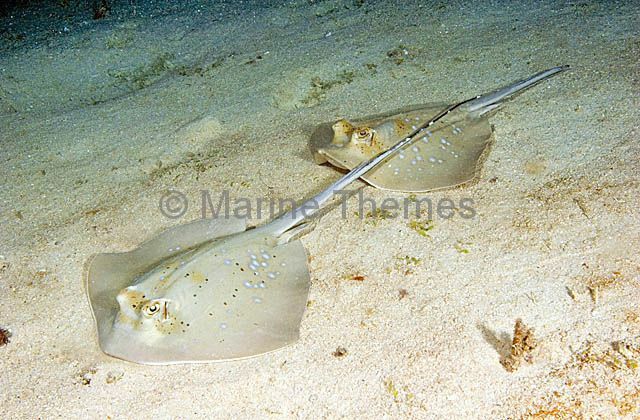 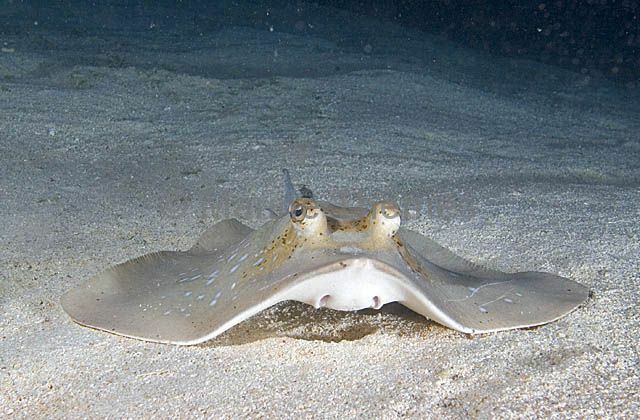 Having used it's electrical sensors under the snout and around the mouth to locate it's prey, the ray then uses it's body like a large suction cup as it draws up the animal through the sand with gulping motions of it's mouth. 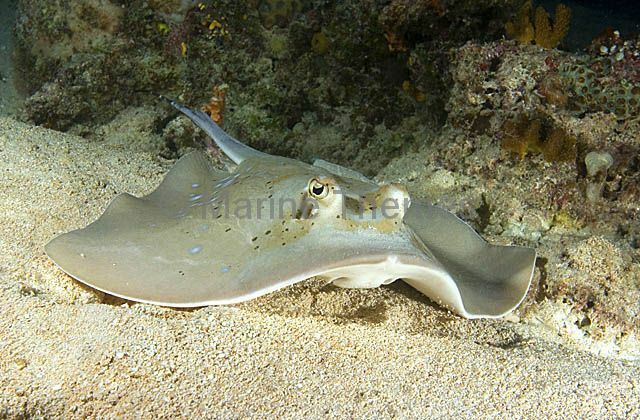 Blue-spotted Maskray (Neotrygon kuhlii) with body raised in alert or alarm posture which breaks any vacuum under the body to allow a rapid flight response. 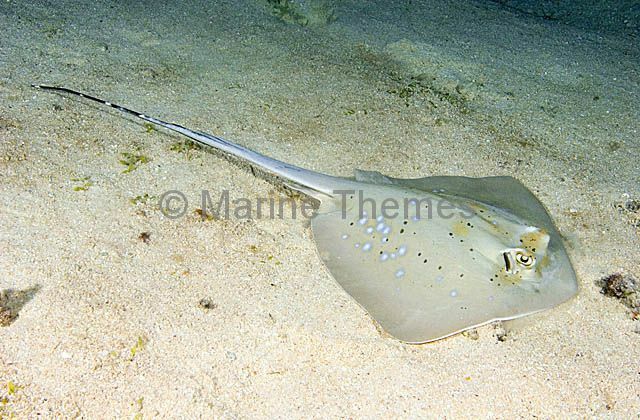 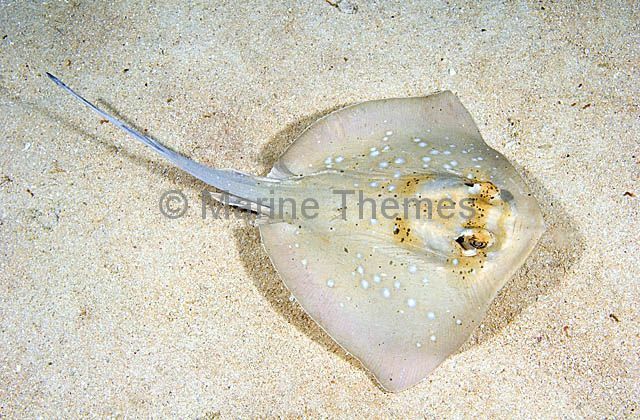 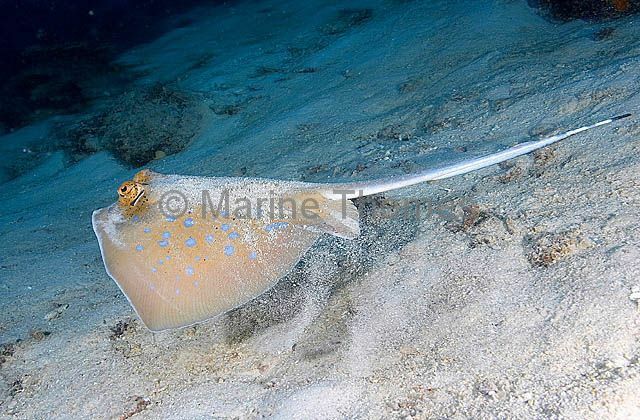 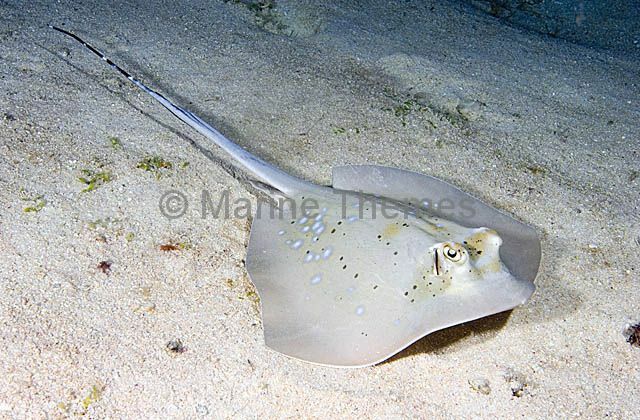 Blue-spotted Maskray (Neotrygon kuhlii) with arched tail in threat posture and body raised in alert or alarm posture which breaks any vacuum under the body to allow a rapid flight response. 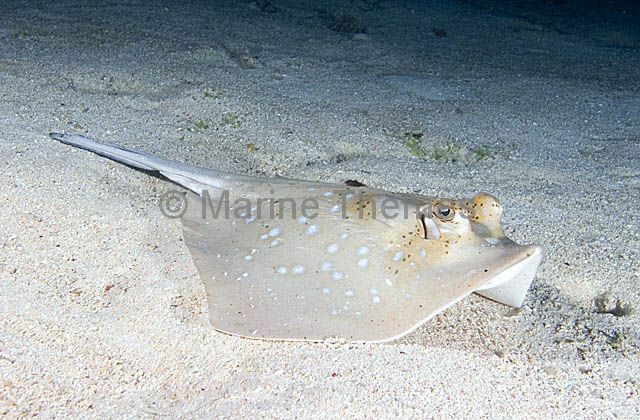 Blue-spotted Maskray (Neotrygon kuhlii) showing elevated eyes, which provide it with better vision of the surrounding area and any possible preditors when feeding, and nasal folds under the snout. 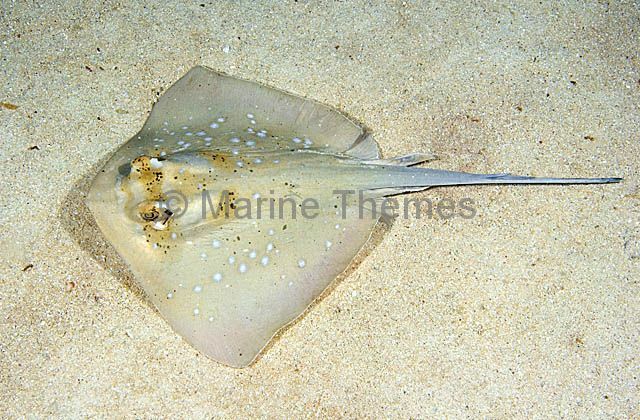 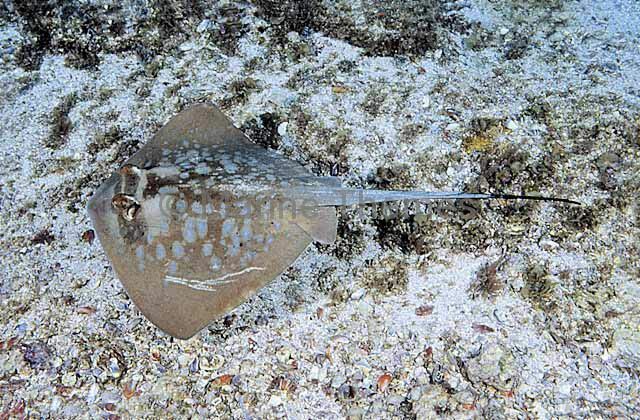 Blue-spotted Maskray (Neotrygon kuhlii) with tail raised in threat posture showing double serrated spines which can inflict a painful wound.